Paula Wessells: Jack Weil will be missed. Jack Weil will be missed. 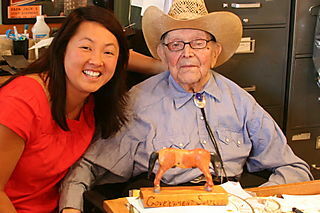 Papa Jack Weil passed away today at the age of 107. I had the chance to meet him in July at the Rockmount shop in Denver. He continued to go to work every day and even had a lunch appointment the day I was there. We will miss you Papa Jack.